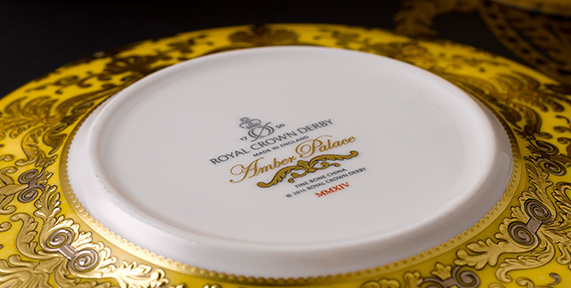 The "Old Imari Solid Gold Band Butterfly" is the fifth and final piece in the collection to mark the 50th anniversary of one of Royal Crown Derby's most illustrious patterns. This is a rare collector's item as only those pieces manufactured between October and December 2016 will incorporate the special 50th anniversary backstamp. 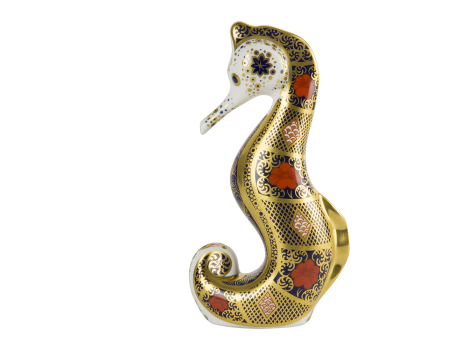 royal Crown Derby Designer, Lisa Law, has used an open, golden lattice design with free flowing gilded points to skilfully capture the butterfly taking flight above stylized peony flowers that are synonymous with Imari design. The central motif, traditionally applied to the centre of dinnerware items, gracefully embraces the Butterfly's body. Set against a backdrop of cobalt blue and iron red, the subtle combination of intricate florals and geometric designs ensures this piece is not only beautiful, but thought provoking. 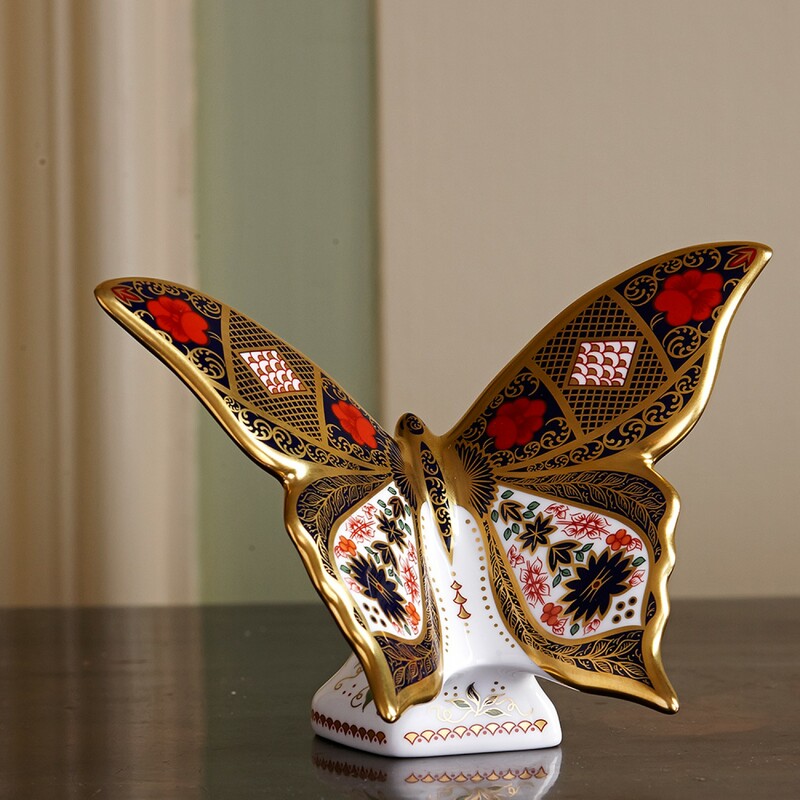 Across many cultures, the Butterfly symbolises Joy, life, hope and transformation and are often given as a gift to celebrate marriage. 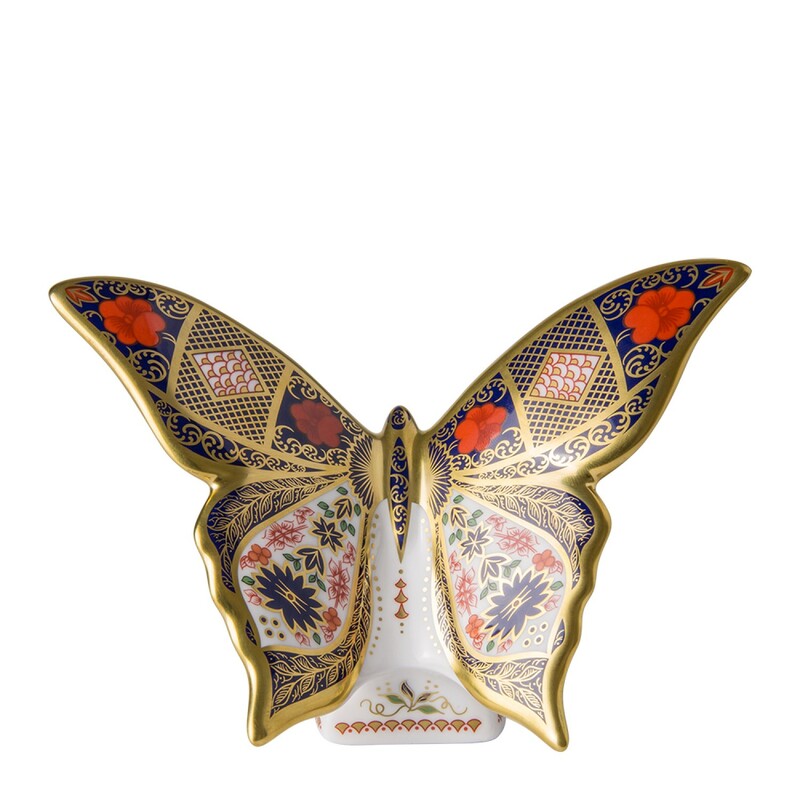 The "Old Imari Solid Gold Band Butterfly" is an exquisite finale to the 50th anniversary collection, which also includes a candle holder, rectangle tray, charger plate and round trinket box.